Oil and gas are used widely in modern life. Oil fuels the cars, trucks and planes that underpin modern economies and lifestyles. By-products from oil refining are used in the production of plastics and chemicals, as well as many lubricants, waxes, tars and asphalts. Nearly all pesticides and many fertilisers are made from oil or oil byproducts. 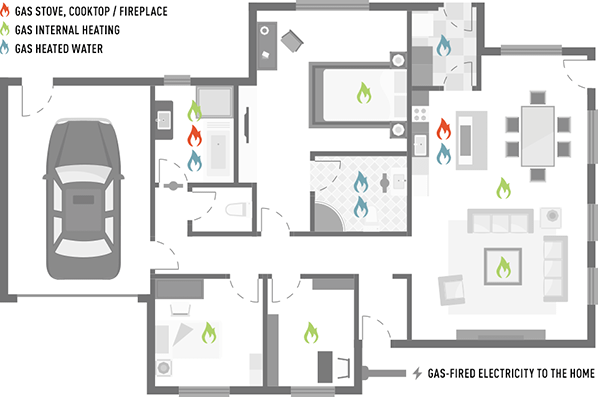 Gas provides electricity and is also used for cooking, heating houses and buildings, and heating water. It is also important for fuelling many industrial operations, including glass and steel foundries, aluminium or nickel smelters, and many manufacturing industries. Gas is used in producing fertilisers and a wide range of industrial products, including plastics and polymers, textiles and paints and dyes. It can also be used in the form of compressed natural gas (CNG) or liquefied natural gas (LNG) as a transportation fuel.